The skin barrier serves as a form of protection for our skin. Inside the barrier lies skin lipids, which are fatty acids that trap in moisture and prevent irritants from entering our skin. However, as a result of the ageing process and other environmental factors, the levels of lipids in the skin, as well as the strength of the barrier, begins to significantly decrease. So where do ceramides come in? The most abundant and common lipid in the skin barrier are ceramides, which make up about 50% of the lipids found in the skin’s barrier. They are the most essential lipid when it comes to maintaining barrier function. Unfortunately, by the time you reach your 40’s, you will have lost more than half of your skin’s ceramides. This decrease is accompanied by the appearance of wrinkles, uneven skin tone as well as dryness, dullness and loss of firmness. 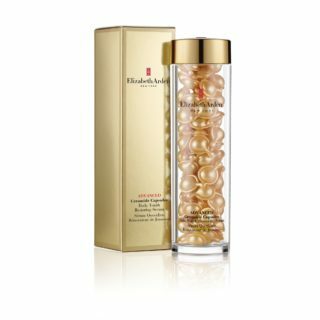 We like the approach Elizabeth Arden has taken with the next generation of their Ceramide Capsules. This well-established company has set the gold standard in modern skin care once again! 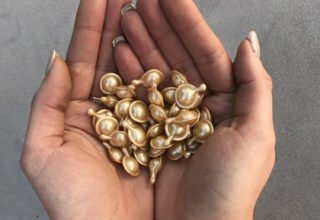 Dermatologically tested, the Advanced Ceramide Capsules Daily Youth Restoring Serum sets out to boost the skin’s barrier repair, replenish essential, naturally-occurring lipids, as well as support the skin’s natural renewal process. It also sets out to provide increased moisturization within the surface of the skin and minimize the appearance of fine lines and wrinkles, all the while providing the Ceramide experience. Each capsule is sensibly biodegradable, fragrance and preservative free and designed to help maintain a healthy, youthful-looking skin, while correcting the visible signs of aging. To do so, it uses an improved blend of ingredients that target visible skin barrier repair, moisturization, and anti-aging. With regards to the skin barrier repair, the ingredients formulated to accomplish this task are an Enhanced Ceramide Lipid Complex (ECLX) that combined Ceramides 1, 3 & 6. This blend helps support the skin’s own natural protective barrier against moisture loss, and it also helps to retexturize, exfoliate, and smooth the skin. The addition of fatty acids, cholesterol and phytosphingosine protects the skin from dehydration. Lastly, the addition of the new ingredient Sea Fennel Extract sets out to encourage skin cell renewal as well as increase luminosity and skin smoothness. Click here to find out more about their Ceramide Collection. In providing moisturization, the addition of Botanical Complex Technology (which features features Alfalfa Extract – lipids from olives and hydrocarbons from coconut oil) not only increases hydration levels but it also helps to reduce the appearance of fine lines and wrinkles. Lastly for the anti-aging effect, the new capsules contain Tsubaki Oil. This oil is rich in Omegas 3, 6 & 9 as well as Vitamins A, B, D & E. This blend improves elasticity and it also reduces the appearance of fine lines and wrinkles whilst boosting moisture for smooth, supple skin. Lastly, there’s the presence of Vitamin A, which is always important with regards to anti-ageing. Retinyl Palmitate is a Vitamin A derivative that not only improves the skin’s clarity for a more even-toned appearance, but also works to smooth lines and wrinkles, while supporting the skin’s own natural collagen for a firmer look. Age, genetics and lifestyle all influence skin health, so learning how to use make-up in the right way at each life stage can be one of the most effective ways of keeping a flawless, youthful look. Here is the best advice on how to turn back the clock on aging, from our two makeup experts, Julia Jones and Marilyn du Preez.